Iran plans to unveil its latest achievements in area of missile technology on September 22, Commander of Khatam ol-Anbia Air Defense Base Brigadier General Farzad Esmayeeli announced on Wednesday. “The latest mid- and long-range missile defense systems will be unveiled on September 22,” Esmayeeli told FNA today. “These missile systems will include combined systems, artillery and radar systems, other new systems,” he continued, adding that “the long-range missiles to go on display on September 22 are the ones which have been optimized by Iranian weapons experts and specialists”. 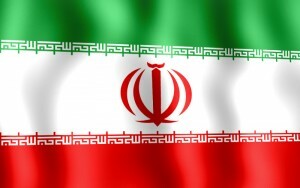 The General further noted Iran’s aerospace programs, and said the needed budget has been allocated for building “new (manned) planes and pilotless drones”. In relevant remarks in mid-May 2013, Esmayeeli said Iran’s air defense capability is so advanced that it is not comparable to what it could do during the Iraqi imposed war on Iran in 1980s. “At present, the air defense unit’s capability, capacity and expertise can defuse any threat existing in the region,” Esmayeeli stressed, adding that the air defense forces enjoy a “desirable” level of preparedness. In September 2013, the Iranian Armed Forces displayed the country’s latest home-made military tools, weapons and equipment in large military parades in Tehran and across the country. The Iranian armed forces also displayed the tactical troposcatter system which is an advanced home-made communications system unveiled by Esmayeeli last year. Also, Nebo tactical radar system, Kasta surveillance radars, Matla’ al-Fajr local radar system, national radar, a model of Shahab (Meteor) cosmic radar, a model of Samen radar, optimized Sky Guard radar system, high-altitude S-200 missile system, home-made Mersad missile system armed with indigenous Shahin (Eagle) missiles, mobilized Hag missile system, home-made mid-altitude Ya Zahra 3 missile system, and the low-altitude Rapier missile system were among the other weapons and military equipment on display. The Iranian Armed Forces also displayed Saafaat electro-optic tracking system, mobile 35 and 23 mm cannons, mobile tactical communications vehicle, vehicle equipped with chemical decontamination system, DZ vehicle and communication system, Kheybar tactical vehicle, Same’ van built by the air defense base and central communication shelter manufactured by Khatam ol-Anbia Air Defense Base in the September 22 parades. Various units of the Islamic Republic Army, Islamic Revolution Guards Corps (IRGC), Basij (volunteer) forces and the Islamic Republic of Iran’s Law Enforcement Police were present in the military parades in downtown Tehran to commemorate the start of the Week of Sacred Defense.